Time Limits - for blocking or permitting trading during specified time of day. GMT Offset - allowing for a simple adjustment within different time zones. Lot Type Is Fixed - when set to false, allows dynamic scaling of position volume, calculated by a percentage of available equity. Equity Risk Per Trade - percent of available equity to risk per trade. If the position is closed out at the Stop Loss level, this is the amount of equity lost on this trade. Max Lots is 15 - limit maximum volume allowed for total net position to 15 lots (3 x 5). StopLoss - stop level to close out a net losing position (controlled by the Expert Advisor). Profit Target - close positions out at a fixed profit target (recommended for partial exit). Same Bar Entry - when set to false, takes advantage of unusual near-term volatility when opening positions. Allow Partial Exit - closes out a percentage of the net position, when trading outside of time window, and the remainder on trailing. Initial Close Percent - percent volume of a net position to close first. Block Reverse Signal - if a remaining position is open and a reverse entry is triggered, block the signal or reverse the position. The long-term test results illustrate the synchronization of the Expert Advisor and the Euro-Sterling. This system was designed for a specific purpose: to capitalize on the fat tail during the middle-to-end of the US session, leading into Asia. All EA logic is based around these long-term characteristics and test results are not achieved by excessive indicator optimization. The Expert Advisor opens a maximum of three positions (long or short). Lot size (fixed or dynamic) is divided by 3.75 and then split between each position x1, x1.25, x1.5 creating an average entry price. 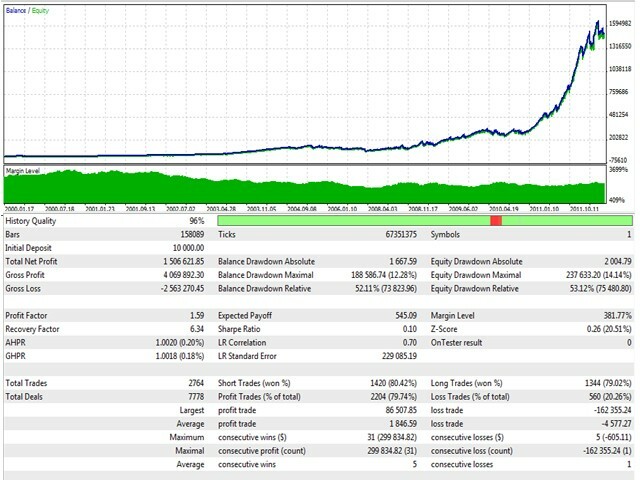 The Expert Advisor closes positions either by the Stop Loss input value, or a dynamic Profit Target within the EA logic. The Profit Target input value is set much wider than this level, as it is not required when using the default set-up. 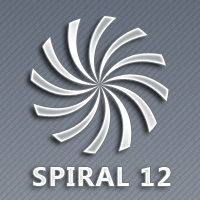 This version of the Spiral12v2 EA contains new functionality, which also allows a partial closure of the net position. If Time Limits = 'true' and Allow Partial Exit = 'true', the EA will close a percentage of the position if the dynamic close signal is outside of the trading time window. The remaining position is closed at the profit target level, Stop Loss or trailing stop. During 2011, this allowed profits to run much further. The EA is not designed to operate without the use of the Time Limits; however these inputs are also adjustable for further experimentation. 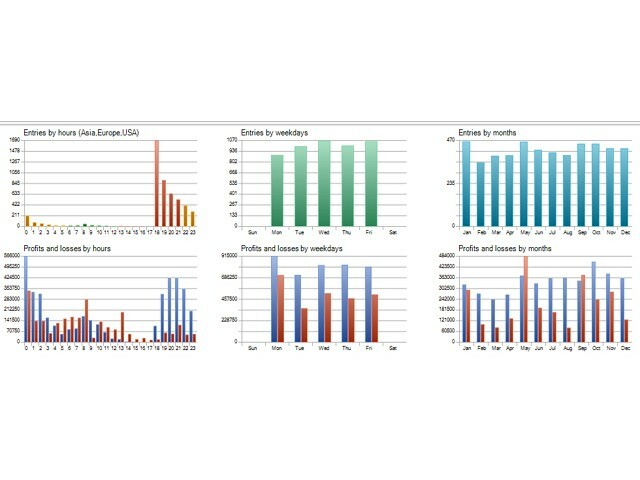 Test results are from the default set up, with adjustment to the Equity% value, Stop Loss value and partial exit switch. The Expert Advisor would make a good component of a diverse portfolio of EA's operating at a lower equity risk percentage. In testing, it demonstrated some years of strong gains where the Euro-Sterling shifted into close synchronization with the EA. 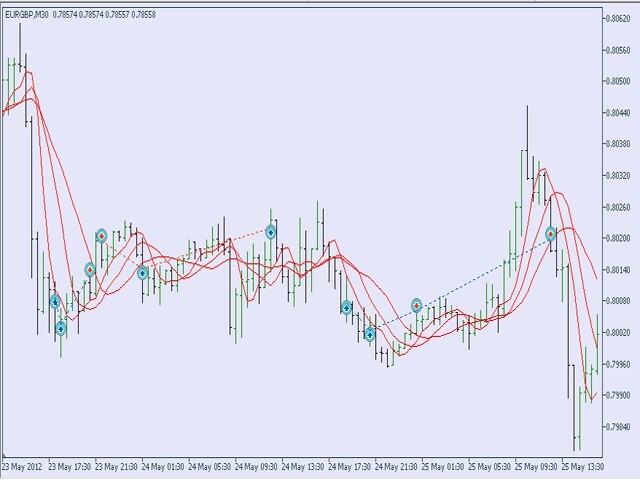 It is also evident in testing that the Expert Advisor has quiet periods where it does not identify many opportunities to trade. Hello Christian! I used EA and found it very good. However, the partial exit of the orders is not working. Would you help me? I've already made several changes and it did not work. Annex print screen of the parameters in discussion.